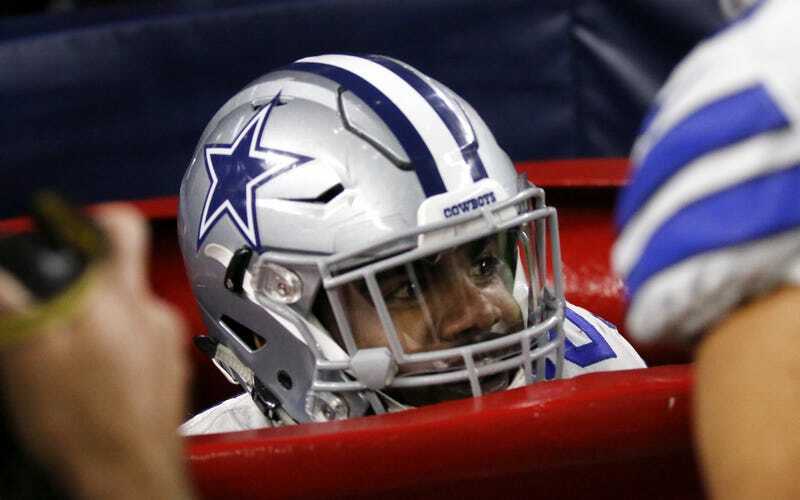 Let’s get this out of the way: Ezekiel Elliott’s kettle hop was fun, kinda cute, and made for great internet content for this very blog and others. It’s also great that the NFL has said they won’t fine him, and that Elliott will donate a hefty sum to the Salvation Army. Just this year Odell has been fined for excessive celebration once and unsportsmanlike conduct twice. The excessive celebration penalty came after he pretended to film Victor Cruz doing a salsa dance after Cruz scored a touchdown in Week 1 against the Cowboys. One unsportsmanlike conduct penalty came after Beckham ran through the end zone on a touchdown, removing his helmet as he reached the end. Beckham was never specifically flagged for his antics with the kicking net. Maybe Beckham and Bell should just make their celebrations more philanthropic from now on. If I can offer a suggestion, I’d personally love to see Odell Beckham use American Sign Language to say “DONATE TODAY TO PLANNED PARENTHOOD” after his next ridiculous touchdown. How Long Until The NFL&apos;s Hard-On For Personal Fouls Ruins A Game?